The pick of the bunch according to the Gospel Music Association. This collection includes songs from Sixpence None the Richer, Plus One, Sonic Flood, Jars of Clay, Mark Schultz, Nicole C Mullen, Ginny Owens, Rachel Lampa, Jacqui Velasquez and many others. 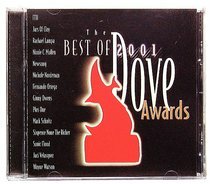 About "Best 2001 Dove Award Winners"